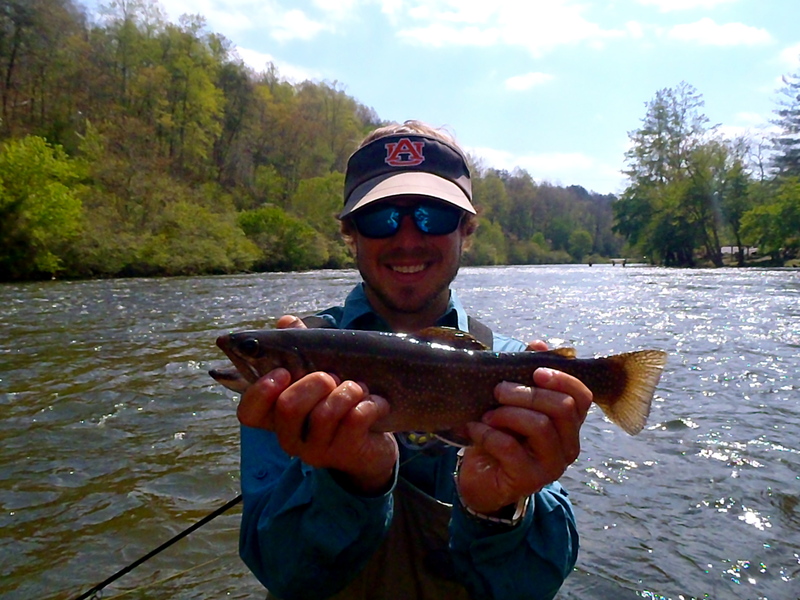 Yesterday, I guided Dave on a 3/4 half day wade on the Tuckasegee Delayed Harvest. We brought close to a dozen fish to the net with around 9-10 more long distance releases. The river was high due to the East Fork release so tungsten flies did the trick. We rigged up a #12 Flashabou Nymph with a purple tungsten bead and a #16 Tungsten Rainbow Warrior. Both flies produced about 4-5 fish each. 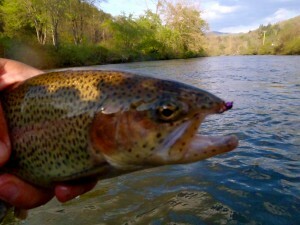 Dave also landed a few fish on a #8 Rainbow Flashabou Streamer. We received a large order of flies in the shop today and more are on the way tomorrow. Stop in and check out our new fly patterns. We have several new B.H. Nymph and Stonefly Patterns that are sure to be hot flies. If you would like to phone in or email an order we will have it ready for you when you arrive.